Factory-rebuilt - EFPS - European Food Processing Systems Ltd. Factory rebuilt equipment from GEA can help you to reduce costs without compromising on quality, reliability or performance. What’s more, the machines you need are often available at short notice. 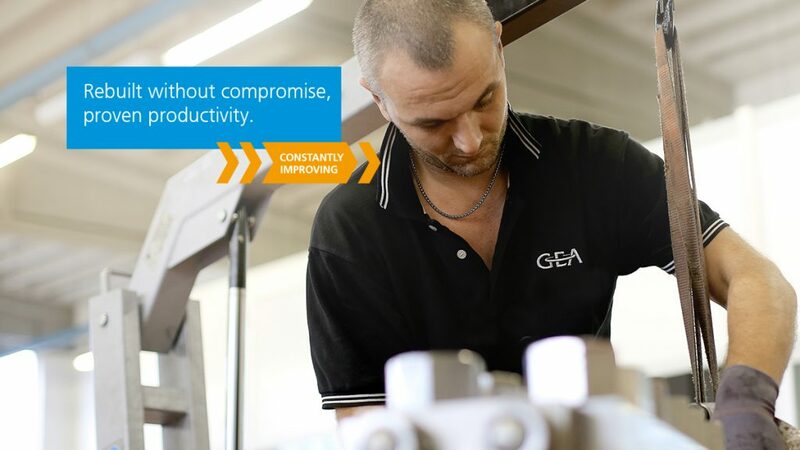 At GEA we rebuild selected pre-owned machines, giving them a new life and providing you with many years of reliable service, without the cost of buying new. We target only GEA machines that have been regularly serviced qualified GEA engineers or service centers. All our factory rebuilt machines have been refurbished to their original condition, using 100 % guaranteed original spare parts and the expertise of our experienced engineers. 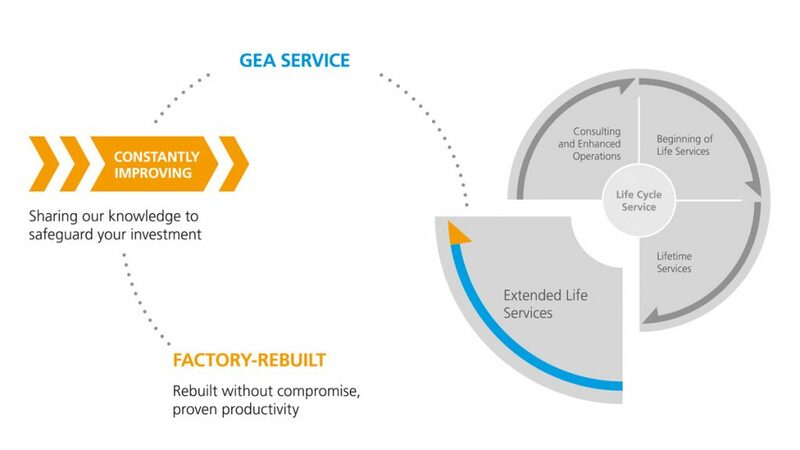 All our used equipment is backed by the GEA warranty, and supported by our global service teams, ensuring many years of trouble-free operation and the same level of performance, safety and quality for which all GEA’s equipment are renowned. All GEA Services are dedicated to maximize your performance! To learn more on our factory rebuilt equipment see our stock- and refurbished list in the download section. Please note: availability of all equipment sold is based on first come, first serve basis. For our actual stock, questions or assistance contact us.